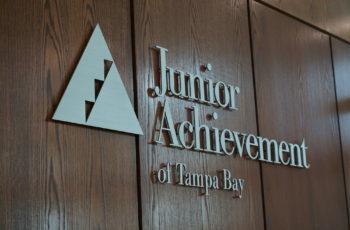 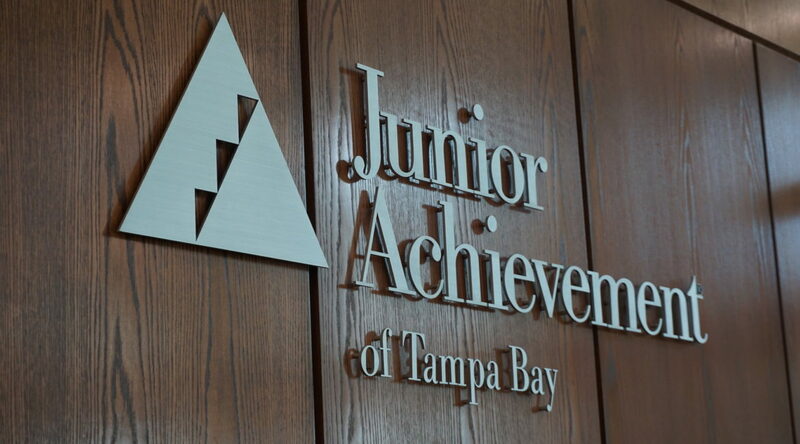 Junior Achievement of Tampa Bay has been empowering the futures of local students by giving them the knowledge and skills they need to manage their money, plan for their future, and make smart academic, career and economic choices. 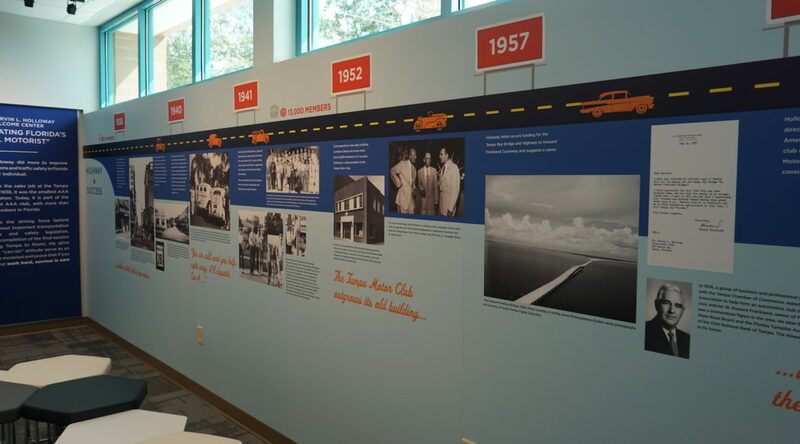 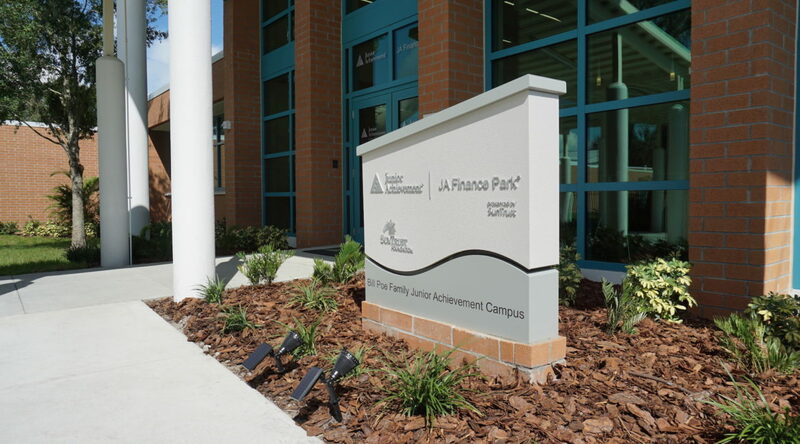 Creative had the opportunity to work closely with the leadership of Junior Achievement Tampa Bay to provide a turnkey signage solution for their new campus expansion project: JA Finance Park presented by SunTrust Foundation. 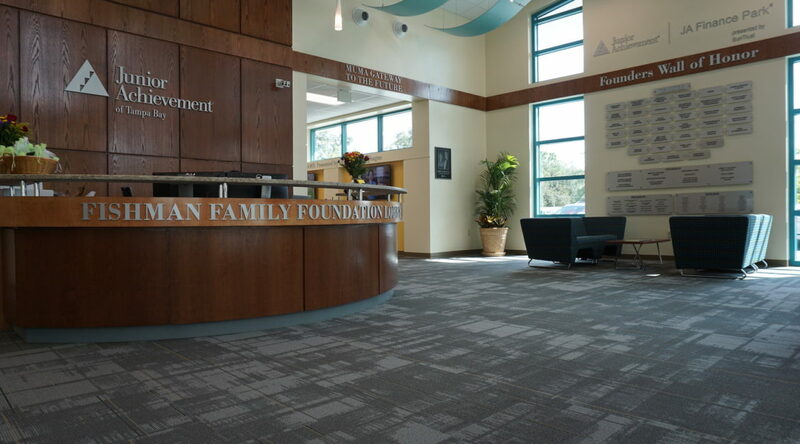 Through custom design, fabrication, planning, and installation, Creative provided the crucial finishing touches to this state-of-the-art Tampa facility, for brand identity, donor recognition, and naming rights throughout the campus. 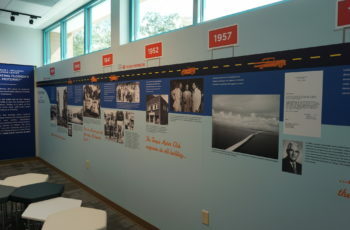 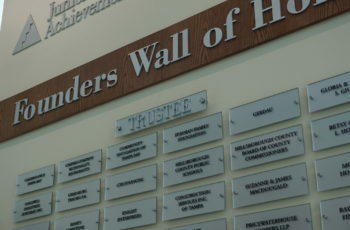 Providing over 25 signs throughout the campus, as well as the Founders Wall of Honor – a 4-tier plaque system honoring the generous donors who made the expansion possible. 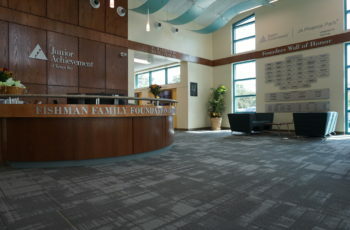 Donor plaques were fabricated with brushed aluminum, acrylic, rowmark, stainless standoffs, and screen-printed copy. 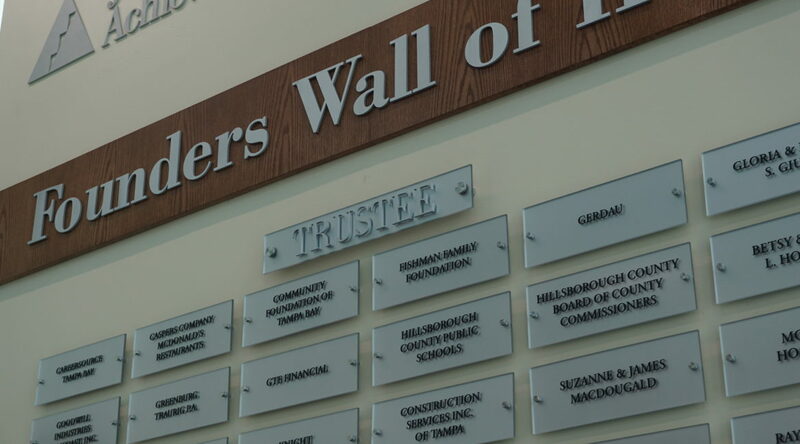 Custom monument sign fabricated using aluminum framing, brushed aluminum lettering, and red brick left over from the building construction. 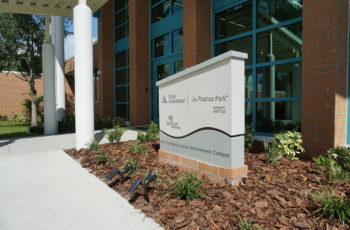 This sign tied into the campus aesthetics perfectly and was a unique feature honoring the SunTrust Foundation.